Answering your wedding photography questions, one cup of tea at a time! Wedding Photographer Jainé Kershner, of Brklyn View Photography, chats with wedding photographers and vendors inside the wedding industry. We discuss all things related to being a wedding photographer from how to get started, working with other wedding vendors, and how to grow a successful wedding photography business. Have a topic you'd like to discuss? Please email us at info@brklynview.com and visit the blog at www.teawithjaine.com and follow @brklynview on Instagram for the latest IGTV stories. 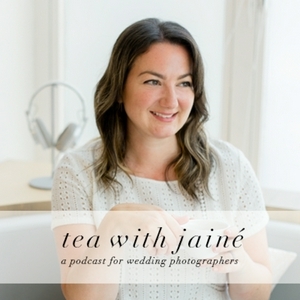 Welcome to the very first episode of Tea with Jainé where we discuss all aspects of being a wedding photographer! Be sure to follow @brklynview on Instagram and catch up on previous discussions on www.teawithjaine.com.